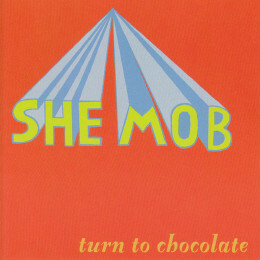 Turn to Chocolate is the second CD from She Mob, which made it to #771 in the Village Voice’s Pazz & Jop Poll, startlingly ahead of Michael Jackson, thanks to Richard Riegel. 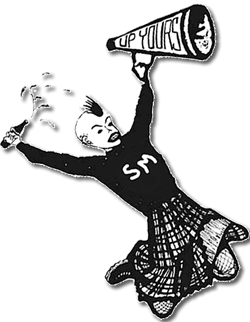 Like chocolate itself, there’s plenty to enjoy on Turn to Chocolate: punk rock, jangly balladry, pop-o-rama and yes, even reggae. Lots of harmonies in English, Spanish and German ’cause it’s a big wide world out there, isn’t it?